COMPUTER CODING is a global movement, and career path within S.T.E.M. (Science, Technology, Engineering and Math)! 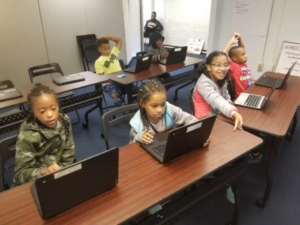 However many of our Philadelphia youth can only ‘play’ on their SmartPhones and computers, yet not ‘program’ them! This course will help to get your young, grades Kindergarten, Elementary, Middle School and High School student on the path of being a “Digital Creative”, soaring past being merely a technology consumer. 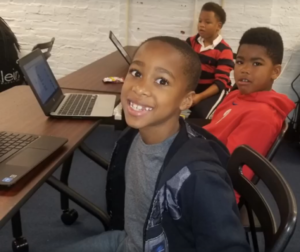 – (8) Saturday 90-minute hands on tutorials using Google Chromebooks! No experience needed. ** Parent / Guardian Area for you to wait while your students starts their CODING journey or SIGN UP for your own class!